This major aims to cultivate well-grounded, practical, creative and all-round research talents who are well developed in morality, intelligence and physical condition to meet the requirements of national modernization. They can be engaged on product design and work in related department such as pro design companies, production companies or administrative department. The Department of Cultural Heritage concentrates on training students to work on cultural heritage value research, protection, management and exhibition. Ⅰ.Basic theory: Introduction of design, History of fine art, Design psychology, Human factors engineering, Colordesign. Ⅱ.Basic technology: Introduction of design and technology, Mechanic and construction design, Industrial materials and manufacturing crafts, Engineering drawing. Ⅳ.Basic expression: Drawing, Sketching, Design sketch, Design presentation, Computer-aided design. Ⅴ.Basic design: Design investigation, Product development & design, Foundations for interaction design, Concept design, Product design. Ⅰ.Fundamental part: History of fine art, Chinese history, Chinese and foreign art history, Chinese and foreign architectural history, Human geography conspectus. Ⅱ.Specialized part: Chinese folk art introduction, Chinese non-material culture introduction. Ⅲ.Design part: Introduction of design, Chinese traditional home design, Pattern, Computer-aided design, Museum exhibition design, Multimedia design. Ⅳ. Practical part: Traditional arts and crafts shape, Line appreciation, Drawing, Color, Chinese traditional fine art imitating, Rendering, Photography, Cultural heritage investigation, Cultural identification and repair protection. Research Fields: Industrial Design focuses on creating industrial product which is well engineered, independent and in kind, for example, electrical products, medical equipments, processing equipment, sports apparatus and traffic tools. The main work involved in industrial products development process includes management, research, formative design and man-machine interaction design, and recently, involves service design. Specialties Characteristics: People who have remarkable art attainments and ability to create and express are needed in Industrial Design work. Excellent thinking ability in images and in logic is also in need. Cultural heritageResearch Fields: cultural heritage research, protection and management, museum business and management, and relative areas. Specialties Characteristics: Cultural Heritage Major emphasize on having a good professional knowledge and analyzing in depth on cultural heritage’s history and value on science and art. People with professional skills in research and protection of cultural heritage, display and management of museum, and relative areas are trained. credits for Situation & Politic Science), among which 106 credits are from the theory courses,82 credits are from the practicing courses. Cultural heritage: The total credits that student should acquire are no less than 186.5 credits (including 2 credits for Situation & Politic Science), among which 124 credits are from the theory courses,62.5 credits are from the practicing courses. This major aims to cultivate well-grounded, practical, creative and all-round research talents who are well developed in morality, intelligence and physical condition to meet the requirements of national modernization. Professional people are trained to have high aptitude of creation, appreciation, hand-working and organization, professional skills in Visual Communication major including printing, publication, media and new information technology, high awareness of thinking of environment as a whole, capability of practical, creation, design of both spaces interior and outside, and research. Ⅰ. Basic theory: Introduction of design, History of fine art, Design psychology, Human factors engineering, Color design. Ⅱ. Basic of technology: Introduction of design and technology, Mechanic and construction design, Industrial materials and manufacturing crafts, Engineering drawing. Ⅳ. Basic of representation: Drawing, Colour, Design sketch, Design presentation, Computer-aided design. Ⅴ.Basic of design: Design investigation, Product development & design, Foundations for interaction design, Concept design, Product design. Ⅰ. Basic theory: Introduction of design, History of fine art, Design psychology, Arts and crafts history, Market investigation. Ⅱ. Basic of technology: Computer-aided design, Engineer drawing. Ⅳ. Basic of representation: Drawing, Colour, Design sketch, Computer-aided design, Photography, Professional colour. advertisement, Creativity & representation of graphics, Logo design, Animation design, Interface design, Multimedia design, Illustration design, CI design, Poster design, Exhibition design. Ⅰ. Basic theory: Introduction of design, History of fine art, Chinese and foreign architectural history. Ⅱ. Basic technology: Principles of perspective, Rendering, Computer-aided design, Photography, Human factors engineering, Market investigation, Architectural drawing and recognition graph, Basics of architecture. Ⅲ. Basic mould: Graphic construction, Colour construction, Dimensional construction, Building sketch. Ⅳ. Professional design: Principles of interior design, Principles of landscape design, Garden landscape design, Environmental lighting design, Traditional home, Public environmental facilities design, Public landscape design,Large indoor public space design. Research Fields: Industrial Design focuses on creating industrial product which is well engineered, independent and in kind, for example, electrical products, medical equipment, processing equipment, sports apparatus and traffic tools. The main work involved in industrial products development process includes management, investigation, formative design and man-machine interaction design, and recently, involves service design. Specialties Characteristics: People who have remarkable art attainments and ability to create and presentation are needed in Industrial Design work. Excellent thinking ability both in images and in logic is also in need. transmission major. Visual Transmission Design is design in areas related to printing media, animation and digital media. transmission design. This major pays attention particularly on training students to have ability of creation, practical, using computer and expressing. 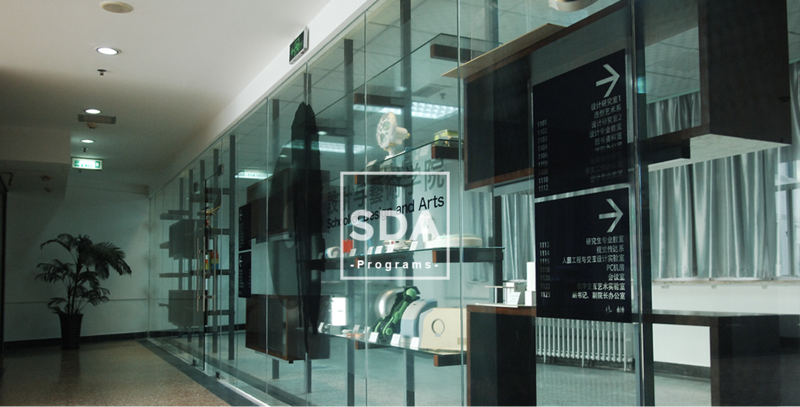 Research Fields:Graduates can be engaged in interior design, landscape design, exhibition design, small architecture design and other related work. Industrial design: The total credits that student should acquire are no less than 184.5 credits (including 2 credits for Situation & Politic Science), among which 114.5 credits are from the theory courses,70.5 credits are from the practicing courses. Visual transmission: The total credits that student should acquire are no less than 188.5 credits (including 2 credits for Situation & Politic Science), among which 112.5 credits are from the theory courses,76.5 credits are from the practicing courses. Environment artistic design: The total credits that student should acquire are no less than 186 credits (including 2 credits for Situation & Politic Science), among which 102 credits are from the theory courses,84credits are from the practicing courses.